October 31, 2017 marked the end of ScienceBlogs. Since 2006 @digitalbio has posted articles on a variety of science, biotechnology, biotechnology education, Bio-Link, and other topics. In 2014 @finchtalk started contributed posts as well. 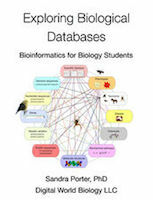 With the closing of ScienceBlogs, Digital World Biology has reposted those blogs for community education and enjoyment. Digital World Biology has also made this page a default redirect for pages that can no longer be found. In many cases the URLs have title information and can be found by searching the archive. Please contact us if there is something you cannot find. If you enjoy these posts, be sure to visit our current blog too.